As you know I have curly/wavy hair. Some sections are curly and another section will be wavy or straight, my natural hair has never been consistent. 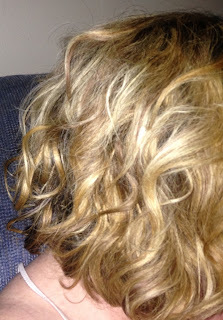 I’ve tried many products specifically designed for curly hair but most left my hair weighed down, stiff and wet looking. 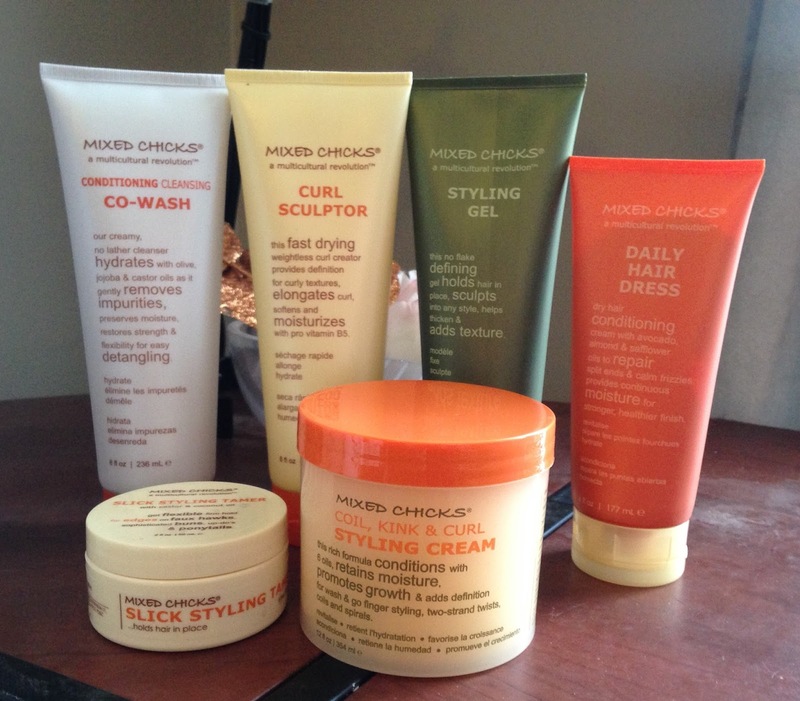 Mixed Chicks, sent me a super amazing gift bag, filled with hair care products to sample. 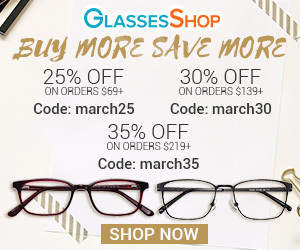 I was excited to receive them, because I've read great things about their products. 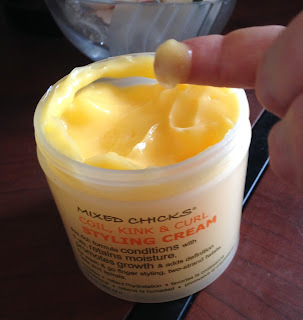 Mixed Chicks products are made in the United States. After trying the products, I was impressed on how it was with my curly/wavy hair. The products are light-weight, fast drying and lightly scented. This had a creamy texture. It uses Jojoba and Castor oils that help strengthen hair. I would use two applications leaving the second on for a few minutes. 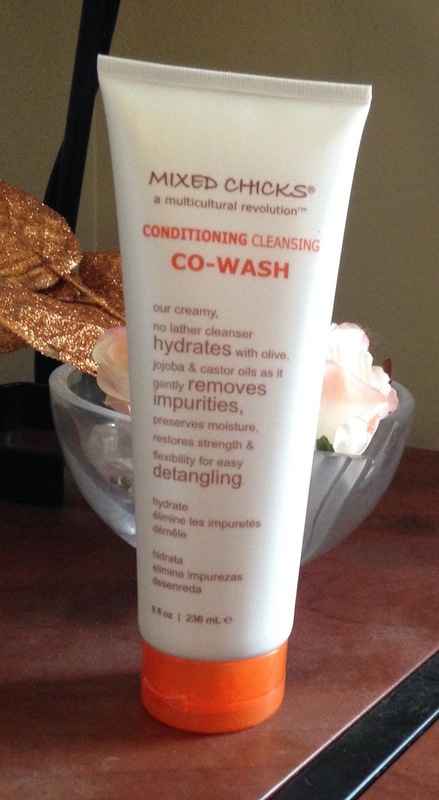 My hair felt clean and was soft, shiny and tangle free, even with my shorter hair it gets very tangled and this product made it easy for me to run my fingers through. It’s light and didn’t weigh my curls down. It kept my curls frizz-free. 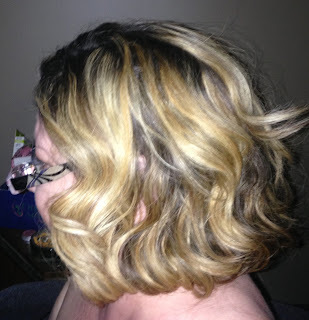 It does dry hard but my hair had soft curls after scrunching out the crunch. This curl definer uses pro vitamin B5 which helps keep hair strong and prevents it from getting brittle. I would add a quarter-sized amount to my hair and then twist a few curls with my fingers framing my face. I was surprised at how this kept my curls in place without being hard and sticky. I haven’t been a fan of Styling Gels for a very long time. They used to leave my hair stiff and wet looking. This Styling gel holds the curls in place without being hard or stiff. 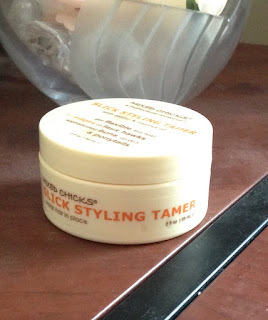 I found a small amount worked well on my thick hair, I would massage into roots as well as scrunch the ends of my hair. 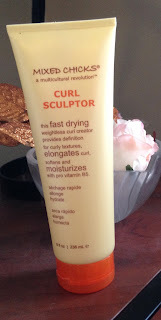 This gave great volume and texture, my hair moved nicely (wasn’t stiff) and the curls lasted all day. 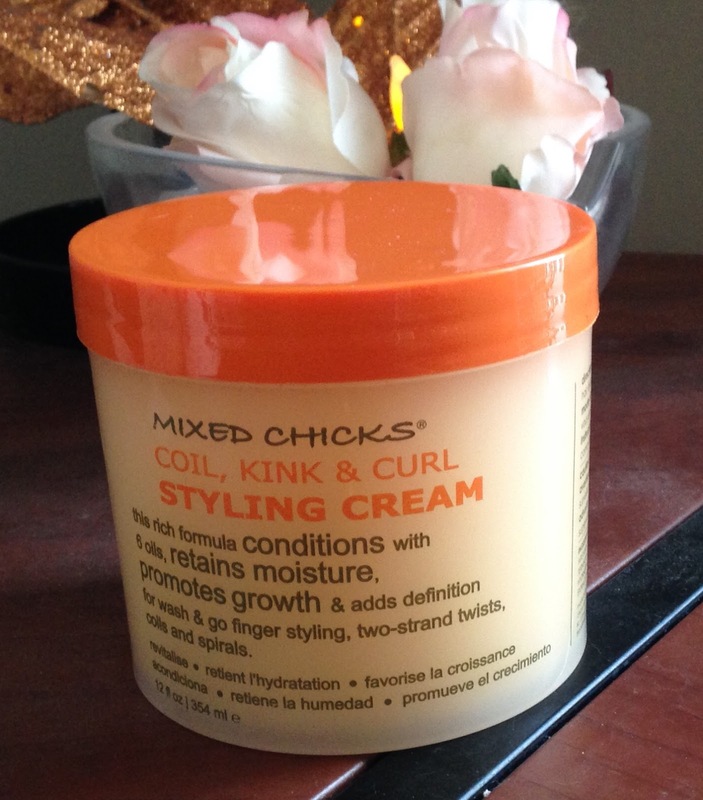 This has a thick consistency, it has 6 nourishing oil and is great for on-the-go styles. Unfortunately I was not a fan of this product, I found it made my hair flat and it felt greasy throughout the day. 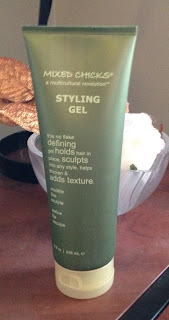 I’ve never used a styling cream before so maybe I didn’t use it correctly (don’t necessarily take my word on this one). 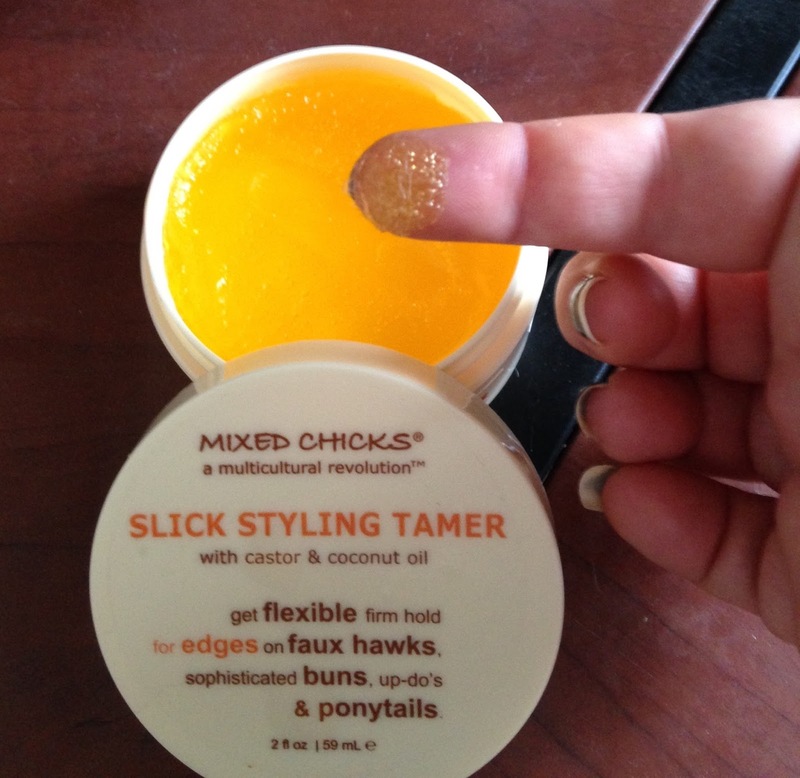 This pomade is especially great for braids and updos. It is great at getting those little flyaway hairs. When braiding, I would apply a very small amount to my fingertips and then to the section I was braiding. Once the braid was in place I would add a little more pomade to keep the little hairs from poking out. For a casual updo, I would use a very small amount on my fingertips and gently smooth out the hair. The product lasted all day and I was surprised not to see a bunch of flyaway hairs around my head by the middle of the day. 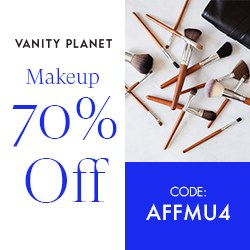 Just so you know, I didn’t use all of the products at the same time, I would use either use a couple products a few days in a row or alternate new products each day. I liked that the products were light-weight, a little product goes a long way and with a price range of $5.99 - $45.00 for hair products you can’t go wrong. I was able to wear my hair naturally or add a few curls with my curling wand, either way the curls lasted all day and my hair had volume and shine. 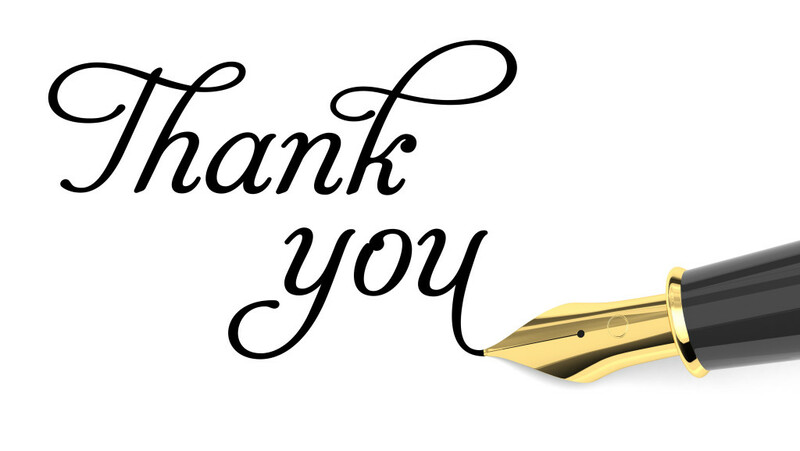 Overall I really liked these products and I am very glad I was able to try them!